Like egg, casein is a type of Tempera painting. Being quick drying, it will allow for overpainting, but stands on its own as a unique technique. 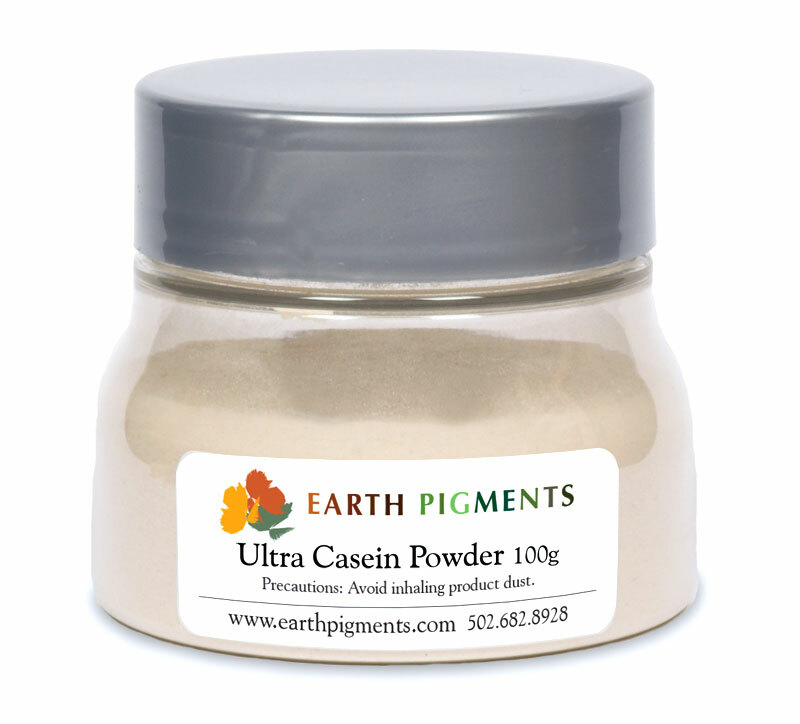 Casein is a water medium with very versatile effects. It is known to have a robust body, producing a distinctive matte or semi-matte finish. It has the ease of a water medium, yet will take a Dammar Varnish to simulate the look of an oil painting. Wet Casein paint will keep for up to two weeks if refrigerated. It is important to test this paint to be sure your ratios are correct. Paint a small swatch on cardboard and let it dry for at least one hour. If it rubs off, you need to increase the amount of binder. Sift 2 parts Casein into half of your water (8 parts). Stir thoroughly to avoid lumps. When mixture is smooth, stir in 1 part ammonium carbonate (also called Bakers Ammonia.) Let this mixture stand for at least half an hour until clear, then stir in the remaining water. Using a palette knife, combine wetted pigments 1 to 1 with the casein paste to form a thick paint, adding water to achieve the desired consistency. Pigments should be prewetted with distilled water. Larger quantities can be ground with the medium using a muller. NOTE: Some recipes will call for this solution of Casein and Ammonium Carbonate to be heated in a double boiler to 140 degrees F. This step is desireable because it will reduce the time involved for the chemical reaction, and drive the ammonia gas off faster. However, we do not recommend this step because the fumes produced are irritating to the mucous membranes in the nose and lungs, and can even be toxic if too much is breathed in.